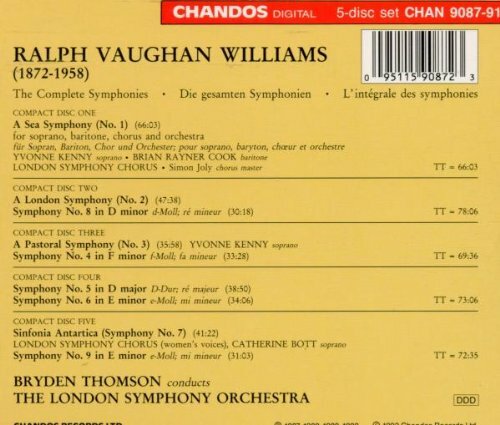 The Thomson set has the same coupling (for me, it works better than the original release of the Sixth - with the bass tuba tattering the silence a few seconds after the 'al niente' of the symphony's final movement. Yes, I wasn't thinking of the boxed set couplings which are sometimes different, although I agree that it makes much more sense to have the Sixth at the end of the CD, as suggested by Karl. In my own mind I always expect No.6 to be followed by Vaughan Williams's speech of thanks to Boult and the orchestra as on my original encounter with the symphony on a Decca Eclipse LP! I've not commented on the 4th because it's not music I enjoy, but this is the album. The Sinfonia da Requiem as I say is very fine partly due to the very close, detailed and involving recording technique, which I would expect to also benefit the 4th. This issue also includes fragments by Ives and Adams. I've just listened to RVW's 4th from this album and found it a superb performance, much more successful than the 5th from these forces. Whether I want the companion works is another matter - I will have to give them a listen another time. I often buy downloads from eclassical where there is no penalty for buying a single track or subset of tracks from an album, all prices are strictly pro-rata according to duration. So, in the above case I bought the 4th (because I should try to learn to love it) and the Britten (which I do love) but not the Ives (already have several versions) or the Adams (little interest in vocal music). No need to have the record producers dictate the programme. That site you mention would be a good resource if you wanted to buy a few tracks from an album, but in terms of whole album prices it seems a bit on the expensive side. I listened to the Ives and the Adams and have now ordered the album, mainly on the strength of the RVW 4th. Yes I'd agree with that, though they often run 'offers' on hi-res material. If I'm up for buying a complete album, I'd normally start by looking for a used CD on Amazon. I like the coupling of symphonies 5 and 6, which is surprisingly unusual. 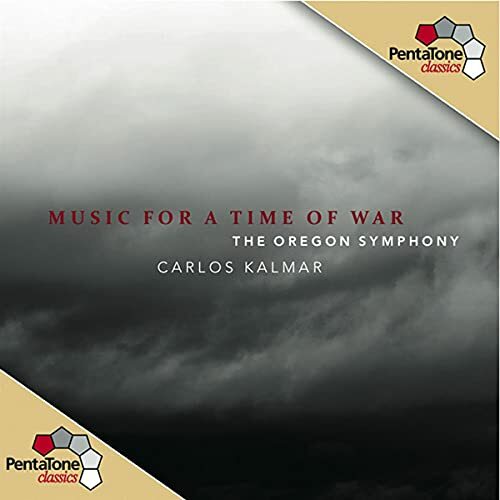 As far as I'm aware only Slatkin and Marriner have issued this combination of works. It took me a while to get into this performance of Symphony 5. The opening section was not nearly (IMHO) as gripping as the recordings by Previn (RCA) or Barbirolli (EMI) however, the performance of the 'Romanza' third movement won me over, a beautify articulated romantic account. So a good but maybe not great performance. No.6 was terrific however - rather like a modern version of Boult's LPO account on Decca. Manze gets the eerie Epilogue finale right too. It is a bit faster than Boult's but unlike in many other recent performances there was no sense of it being rushed. Useful concise booklet notes but I didn't like the drab Roger Fry painting of Charleston Farmhouse, despite it being situated very near to where I live. It didn't really seem appropriate for either symphony. If anyone is in southern California, this weekend (3/29 to 4/1) the suburb Los Angeles Philharmonic is performing Vaughan Williams's Symphony No. 6. Sadly, I will be out of the state and will miss a rare opportunity to see RVW live. I would love to hear the LAP perform Vaughan Williams's 6th Symphony! That's fantastic news! RVW's music is way too infrequently performed in the States. 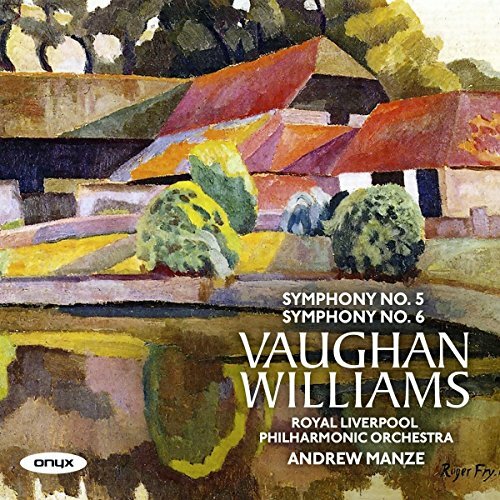 Up until now I have not had a strong reaction to Vaughan Williams' Pastoral Symphony, but recently I listened to the 3rd symphony in Previn's RCA recording and it has gotten through to me. I'm not sure if it is Previn that did the magic, or whether I am just ready to assimilate it, but the word I would use to describe the music is luminous. The work demands attention because three of the four movements (1, 2, 4) have a generally similar mood and tempo, but with familiarity the shape of the musical drama became clear. Previn's RCA version is IMHO by far the best version - in a class of its own. 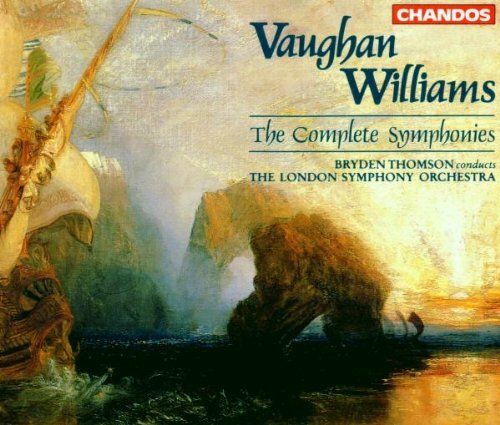 Much the same can be said of his RCA LSO recordings of A London Symphony and Symphony No.8. There are other good versions of No.2 and 8 but nothing else has the quality of Previn and the LSO in A Pastoral Symphony. Boult on Decca and the recent Elder recording are strong but without the same level of poetry as Previn. What is consensus on the Slatkin set? Underrated IMHO (as is his Shostakovich). I especially like his RCA recordings of VW's 8 and 9. I've only heard the 3+4 from this cycle, but I expressed my highly positive view of it not so long ago on this thread.